This article was originally published by Slate and is reproduced here as part of the Climate Desk collaboration. Birders like to make lists. The other day, just walking by the lake in Oakland, California, I saw an Anna’s hummingbird, a couple different types of finches, grebes, sparrows, a kingfisher, a great blue heron, and an egret. Soon, I plan to upload that list to eBird, the online bird-watching community based out of Cornell University, which is the largest citizen science open data archive in the world. None of these species are particularly threatened, so I feel good about sharing my list. But had I been in a region where birds are struggling for their lives and I spotted a threatened species, like the violet-necked lory of Indonesia, the Dulit frogmouth of Borneo, or the golden-winged laughing thrush of Vietnam, I would think twice before posting those findings to an app with nearly half a million other eBirders who have clocked some 590 million bird observations since the project started in 2002. 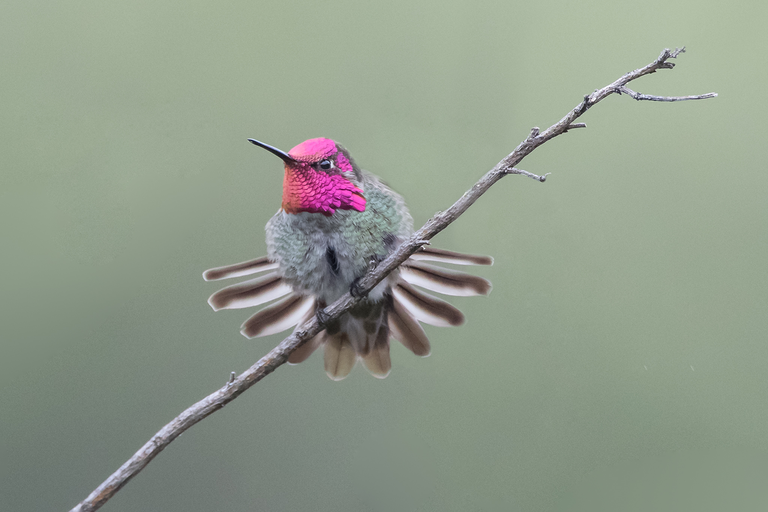 The Anna’s hummingbird is the only North American hummingbird species with a red crown. When it comes to enjoying nature in real life, most people’s intention in sharing their experiences online is to celebrate it. But these increasingly ubiquitous acts are also opening the door to abuse. Apps and databases made for identifying and mapping native plants and birds have had to rebuild their infrastructure in recent years to obfuscate endangered species. Though Iliff says he hasn’t heard specific reports of eBird data being used by poachers, with open data it’s pretty hard to know what people who access the information do with it. “We do know that there were anecdotal reports of people in Indonesian markets saying that some of the bird trappers were familiar with eBird and pull it up on their phone to say, ‘This is where the bird lives,’ ” Iliff sighed, adding that the poachers were also reportedly savvy about downloading birdsongs from other websites, like xeno-canto.org, a bird sound database that likewise takes precautions to protect sensitive species. The market incentivizes the poachers — the beak of the helmeted hornbill in Indonesia, for example, with its red rubbery neck, remarkably expressive eyes, and prized casque that resembles ivory, can sell for thousands of dollars. Now, after the changes, birdwatchers can log data for the helmeted hornbill, but it’s not sharable. Closing select parts of a fundamentally open platform wasn’t easy. Over the course of about eight months, eBird built in features that allowed a person who entered the data of a protected species to see it, as well as eBird’s data review team, but no one else. eBird flags birds that are on its Sensitive Species List, which are at risk of being captured, targeted, and killed, or are at risk of detrimental disturbance in specific locations. There are hundreds of birds listed as sensitive. When a threatened species is logged, it’ll show that the bird is within a 20-kilometer area but won’t allow users to drill down to the specific location of the sighting. And if you share your bird list with a friend, only you’ll be able to see the endangered species you recorded — they won’t show up on the shared list. The same goes with photos of threatened birds and other tools that eBird has built to share bird spotting data. It’s not only birds that need privacy online. In 2015, a Spanish husband and wife team were arrested after a park ranger found them with a pickup truck just outside the remote Knersvlakte Nature Reserve near the central west coast of South Africa. When a ranger asked to look in the couple’s backpacks, she found 49 of the miniature succulents that grow between the quartz that blankets the arid flatland. The couple, it turns out, was anonymously operating a website, africansucculents.eu, where they sold poached plants, according to a report from Yale Environment 360. The Knersvlakte is one of the richest succulent diversity zones in the world, with 1,500 species of plants, including more than 150 that are threatened with extinction. Back at the succulent thieves’ guest room, authorities discovered more than 2,200 succulents worth around $100,000. Beyond the thousands of plants, hundreds of which were threatened species, the couple’s room was also packed with pages of research. There were reportedly pictures and detailed maps printed from social media and the online citizen science database iSpot, as well as pages from the digital museum project JSTOR Global Plants. Thanks to the well-meaning efforts of citizen scientists and open data projects, what in a previous generation may have taken poachers years to map can now be downloaded in minutes. In recent years, other wildlife data projects that opened with the primary intention of sharing as much data on the natural world as possible have started to batten down, too. INaturalist, a citizen science portal that records sightings of all kinds of wildlife, from plants to birds to insects and fish, started hiding endangered taxa in 2011, though Ken-ichi Ueda, one of the founders and directors of iNaturalist, told me it was a problem they considered since starting in 2008. Today, iNaturalist logs about 135,000 observations a month, of which about 4,600 obscure the location data because the wildlife is marked as threatened. The push to hide plants and animals that are at risk, Ueda says, was driven by the launch of a project on iNaturalist called the Global Amphibian BioBlitz that encourages sharing citizen data of amphibians around the world by gamifying the observations and highlighting users who log the most. So far, more than 11,000 identifiers have logged in nearly 300,000 observations. Before the project launched, Ueda told me that many of the groups iNaturalist was partnering with in the world of amphibian conservation, including the International Union for Conservation of Nature, were concerned that the project wasn’t hiding location data and asked that the database be built in a way to obscure the coordinates of threatened wildlife before they collaborated. Databases for nature obsessives aren’t the only way our online habits threaten wildlife. Virality on social media can be deadly as well. The wildflowers of Southern California are so stunning this year they’re causing what Lake Elsinore officials are calling “a public safety crisis.” Hundreds of thousands of people have descended on the small Southern California city to photograph the rare cascade of poppies that paints the hillsides with delicate apricot flowers. The mania is sparked by enviable Instagram posts of people frolicking in the bloom, likely crushing flowers underfoot as they venture, against the advisement of the park rangers, off trail to get that perfect shot drenched in California sunshine. A couple even flew a helicopter into a field of poppies recently at the Antelope Valley Poppy Reserve to take a hike —likely killing hundreds of the beautiful buds visitors exactly like them would wish to see upon landing. “We have brought in all available staff, as many outside traffic controllers that we could, more shuttles, and our small City cannot sustain crowds of this magnitude,” read a recent post on the Facebook page of Lake Elsinore City Hall. The mayor of Lake Elsinore dubbed the uncontrollable throngs of flower tourists a “Poppy Apocalypse” and last month the city even had to shut down two interstate ramps to keep tourists away, announcing the closures on Instagram with the hashtags #Poppyshutdown, #IsItOver, and #PoppyNightmare. There’s something just a little too 2019 about the internet finding a way to ruin wildflowers. But all of this is an inevitable consequence of how online our lives have become. The internet is perhaps best at making the world seem so much smaller than it really is. The popularization of natural wonders, like California’s superbloom, fueled by sun dappled photos on Facebook and Instagram, attracting thousands of onlookers and social media influencers who step on the flowers, scratches at a larger question how we can revel in nature without inadvertently ruining it. When we share an image online of a place or a bird or a flower that we love, we are sharing our experience with it. But even as we aim to spread beauty, we must also reckon with the truth about the human-induced fragility of our ever-deteriorating natural world. And that might sometimes mean not sharing everything. Northern California is currently in the midst of a succulent poaching crisis. Northern California is currently in the midst of a succulent poaching crisis of its own. 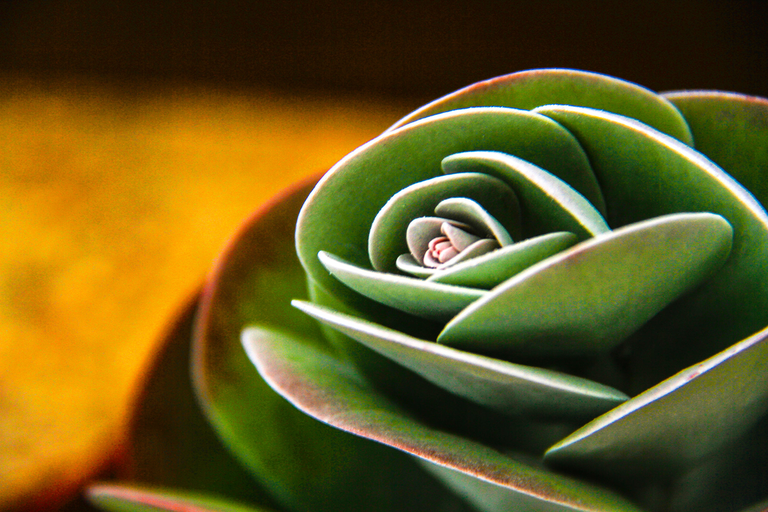 The crown jewels the thieves are after are the Dudleya farinosa, a thick-leafed roseate flushed with pink tips and a bizarre flowering yellow stalk that towers from its center. When mature, the plants can fetch as much $100 where they’re currently in vogue in South Korea, where people display them as a windowsill decoration. That’s why they’re being plundered by poachers who often fly in, load up on cardboard boxes, snag a hotel room, and spend their days digging up succulents off oceanside cliffs. Stephen McCabe, a dudleya expert and emeritus director of research for the UC–Santa Cruz Arboretum, told me that thousands are being pulled from the ground a month. Many are decades old—some are as old as a 100. McCabe, who helps law enforcement identify poached plants, told me that while he hasn’t heard of any of the poachers specifically using sightings from citizen science projects, he did say he’s been asked on online plant forums for help spotting suspicious activity. “I saw posts on social media where someone was looking for identification of plants that looked wild collected. And then I looked on eBay and the person was selling them,” McCabe tells me. “I said something about how I am not going to help you. And they stopped posting and disappeared.” That’s the thing about the internet — it’s just the tool. What really matters is how we use it. April Glaser is a Slate technology writer and co-hosts the podcast If Then. Email High Country News at [email protected] or submit a letter to the editor. Is tech ruining the wilderness?